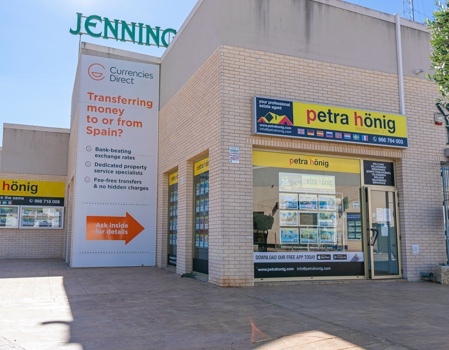 Due to the great demand of properties that our clients request us on the beach, we have a real estate agency in Playa Flamenca - Orihuela Costa. This way we facilitate the movement to our visitors, who can observe in the surroundings a large number of the properties that we offer them. 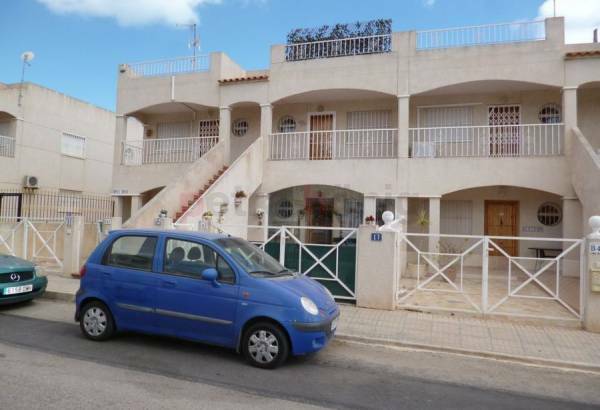 If you want a place to live relaxed enjoying the sun and the sea, Playa Flamenca is the destination you are looking for. Located in Orihuela Costa, between Punta Prima and Cabo Roig, the Flamenca beach has some extraordinary communications with the main surrounding cities and the international airport of "El Altet" in Alicante. It is a beautiful residential area bathed by an extensive beach of golden and fine sand. It receives its name by its first settlers who came from Flanders. In addition to its wonderful climate and its magnificent waters, to complete the healthy lifestyle of the Costa Blanca, on Saturdays you can buy freshly harvested vegetables and fruits at your street market, as well as other generalist products for primary use. A beautiful promenade links Cala Estaca and Cala Mosca, two small coves that make up this beautiful corner of the Spanish Costa Blanca. Here you can find entertainment and leisure facilities for all ages. 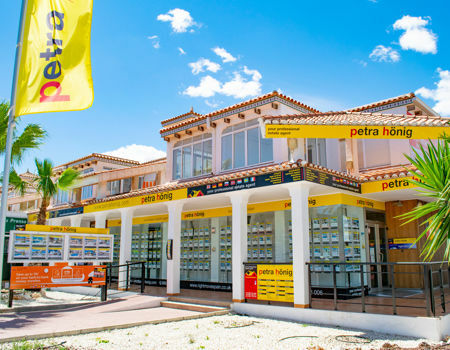 If you want to live in this wonderful corner of the Costa Blanca, visit our real estate agency in Playa Flamenca - Orihuela Costa and we will offer you different types of homes for you to choose according to your tastes and needs. Imagine yourself enjoying the sun relaxing in the solarium of your new home while you enjoy a juice of freshly squeezed oranges. A wonderful villa with excellent views over one of the beautiful coves of Playa Flamenca from where you can see the sunrise over the sea, with its tremendous explosion of light and colors. But if you want to live in a townhouse within an urban center to have a variety of shops, restaurants, entertainment venues, medical centers, etc., we can also offer two or three bedroom apartments. Our properties are built in compliance with current building regulations. They have the necessary thermal and acoustic insulation. The materials used for its execution are of first quality. Your kitchen is fully furnished and has the necessary appliances to facilitate household chores. 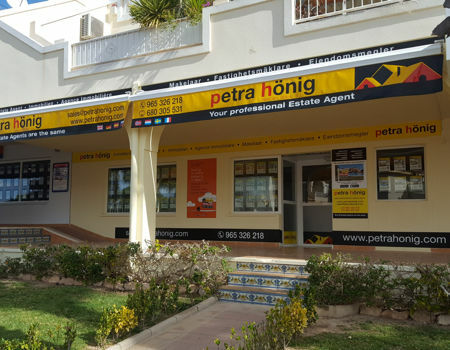 Visit us at our real estate agency in Playa Flamenca - Orihuela Costa and we will be happy to show you the home you want to live by the sea. We have a professional team at your service to solve all those questions that you may have related to the purchase of a house in Spain. Among other topics, we will advise you on currency exchange, opening a bank account, direct debit, insurance (home, life, health, vehicles, ...), registration of housing supplies, etc. 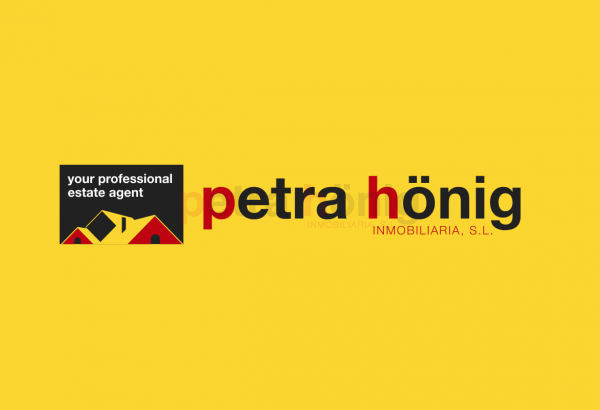 Fill out the contact form that appears on the web or send us an email to info@petrahonig.com and we will contact you as soon as possible. C /. 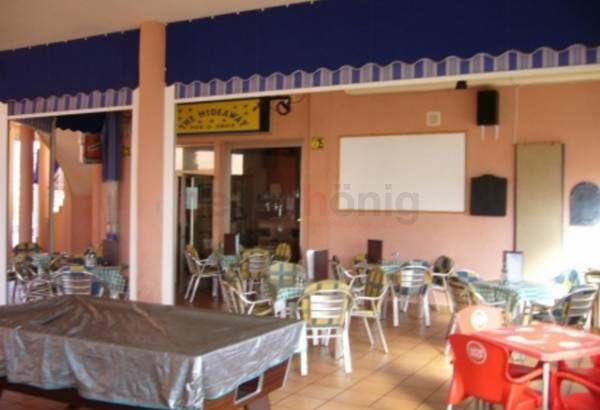 Niagara, 39 - Residential Miraflores III - Block 7 - Phase B - Local 4 - 03189 Orihuela Costa.